On Wednesday’s Today Show on the 15th of November, Gal Gadot – the actress famous for portraying Wonder Woman – spoke out on the rumors that her rumored boycott contributed to the firing of Brett Ratner from the set of Wonder Woman 2. 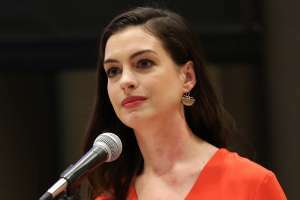 The 32-year-old model/actress said, “everyone knows the way that I feel because I’m not hiding anything.” The actress said she’s not the only one who wanted Ratner gone from the set of the film. She said, “everyone knew what the right thing to do.” The decision to get rid of Brett was allegedly made long before the article came out about Gal’s intended boycott. Bright and Early with @todayshow talking Justice League. Thanks for having me! In a report from Page Six, the publication claims Gadot refused to work in the upcoming Wonder Woman sequel if Brett worked for the company. After the allegations came out against him from women like Ellen Page and Olivia Munn, it was self-evident executives had to do something according to the cast and crew of the production. Carter said Gadot is the “nicest person ever” and she “loves her.” Additionally, Patty Jenkins – the film’s director – said Brett’s firing happened several weeks ago, and it had “nothing to do with” Gal. The director added she was “surprised by that story.” As you may already know, several women accused Brett of sexual harassment and misconduct including Ellen Page.